Wandering around the aisles of supermarkets, it's easy to feel disconnected from your food. The overflowing bins of shiny and uniformly shaped apples and oranges give off the impression that fruit is man-made; the refrigerated, sterile aisles of plastic-wrapped chicken and beef that make you forget that what you're buying was once a living animal. With this accessibility, it becomes easy to take your food for granted. As much as I hate to admit it, I've definitely been guilty of buying too much produce at once, letting it languish in the fridge, and eventually throwing it out without a second thought to the work that went into its production. But I recently had the chance to tour several apple and pear orchards run by Stemilt Growers in Wenatchee, Washington. Stemilt reminded me of how much care and thought goes into the process of growing and making food. We learned that picking fruit by hand without damaging the fruit and next year's crop is an art, and that human hands will always do the work better than machines. We learned about the H2-A visa programs that enabled this family-owned farm to grow and sustain their production while providing lifelines and steady sources of income for less fortunate families in Mexico. 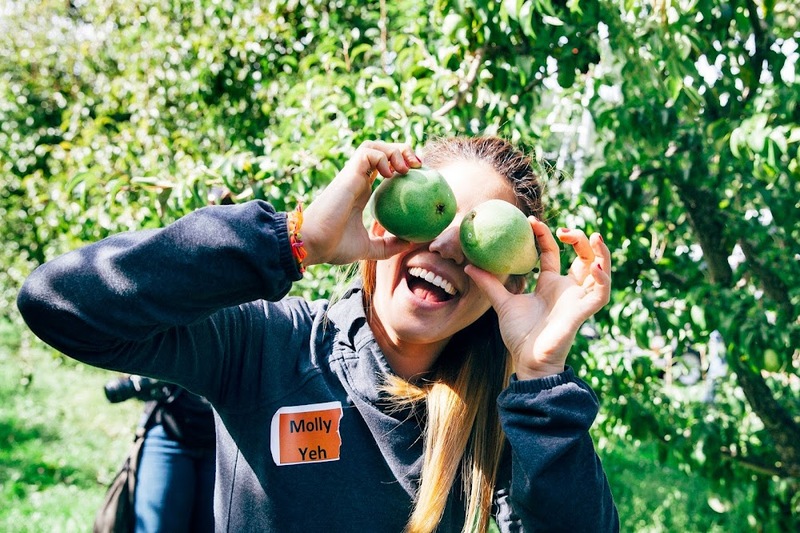 We learned how to train trees to produce different type of fruit than the ones they originally bore, and how the flavors of apples that we get today—honeycrisp, piñatas, sweetangos—came to be. Perhaps most importantly, we also learned how wonderful and hardworking all the folks involved in every aspect of the apple and pear growing business, (whether out in the field, factory, or office) really, truly are. 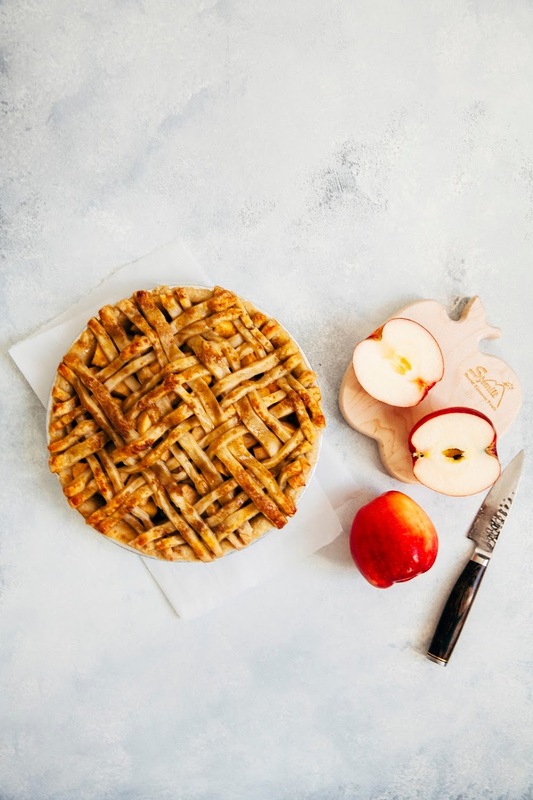 Cheddar cheese and apples is an old-fashioned and time-tested combination; the cheddar in the pie makes the dough easier to work with, and its sharp flavor compliments the sweet fruit wonderfully. For a little extra richness, I quickly sautéed the apples in bacon fat to give the pie a slightly smokey, unique (yet somehow still classic) flavor. 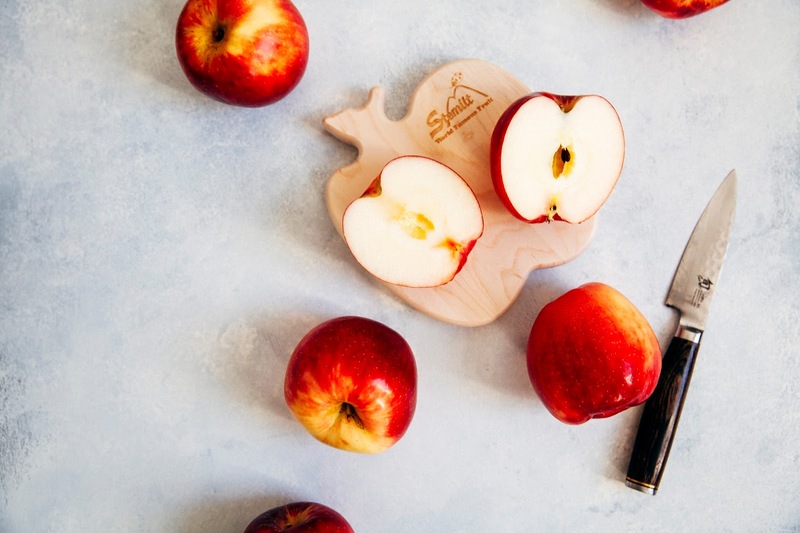 This post was done in partnership with Stemilt Growers, who provided the apples for this post and sponsored a trip out to Seattle and Wenatchee to tour the orchards and learn about the apple production process. All thoughts and opinions are my own and I was genuinely impressed by the hard work of everybody I met on the trip — I learned so much about farming apples and pears, and more! As always, thank you for supporting Hummingbird High and all my awesome sponsors — this blog wouldn't be here without you guys. 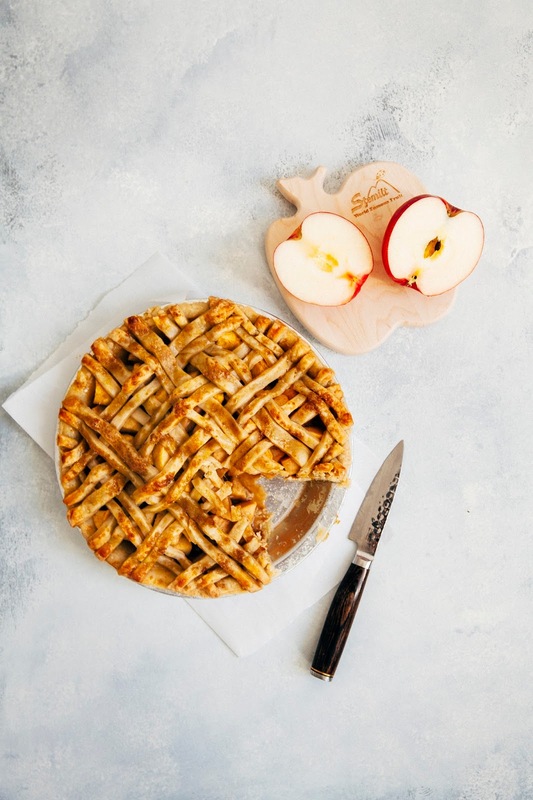 For this pie, I used the sweetango apples that Stemilt provided not only because they were tasty, but they paired particularly well with the sharp cheddar cheese I used for this pie. Sweetango apples are a relative of the more commonly known honeycrisp, and are as equally sweet, tangy, and crisp. 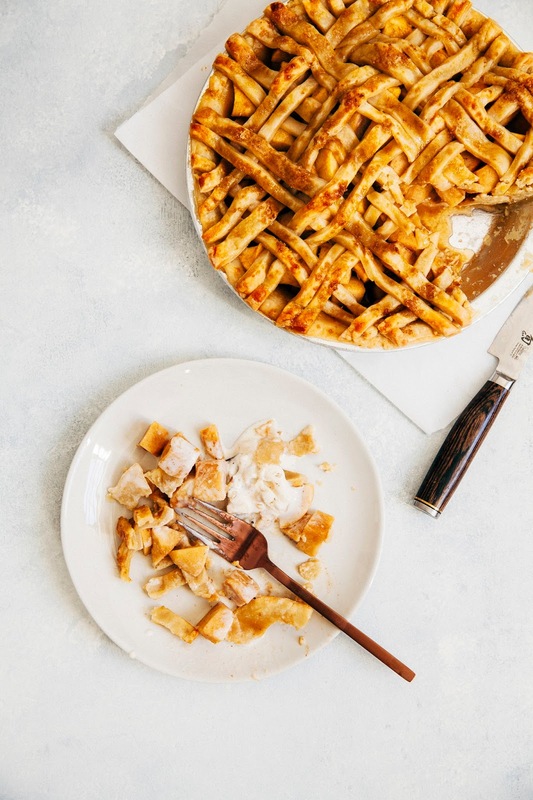 On that note, a sharp cheddar cheese works best in this recipe — I initially used a mild one, but found that I couldn't distinguish the flavor from a regular pie crust. Even if you don't like sharp cheeses, it's best to use it here since a mild cheddar will be drowned out by the rest of the pie. Place 1/2 cup ice in a liquid measuring cup. Pour 1/2 cup water and 2 teaspoons apple cider vinegar over the ice, and give the mixture a good whisk. Place in the refrigerator to chill while you work with the rest of the ingredients. In a large bowl, combine 2 1/2 cups all-purpose flour, 1 tablespoon granulated sugar, and 1 teaspoon kosher salt and whisk until combined. Add 1 cup cubed unsalted butter and, working quickly, use a pastry blender to cut the butter into the dry ingredients until mostly pea-sized pieces of butter remain. 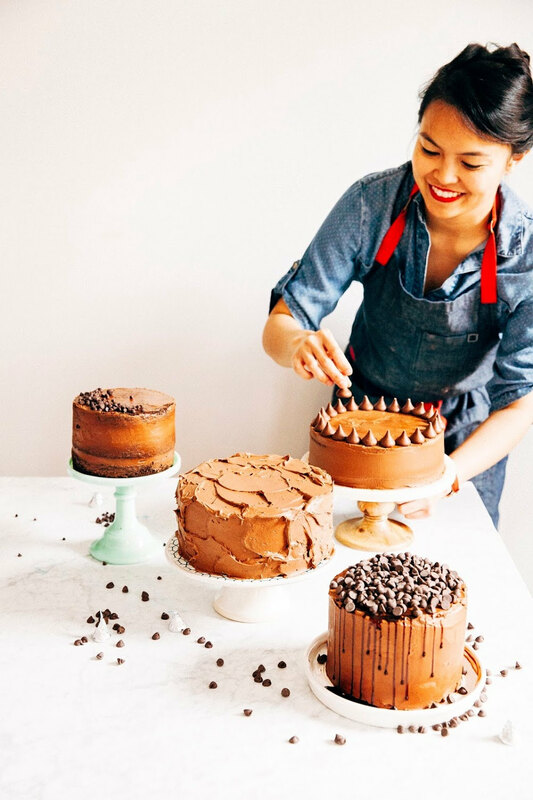 A few larger pieces are okay — be careful not to overblend! The mixture should resemble a coarse, lumpy cornmeal mixture. Add 1 cup grated cheddar cheese and mix the cheese into the mixture with your fingers until evenly distributed. Once the cheddar is distributed throughout the mixture, sprinkle 2 tablespoons of the ice water mixture over the flour mixture (from the 1st step), continuing to use the pastry blender to cut the water into the mixture until it is fully incorporated. Add more of the ice water mixture, 1 tablespoon at a time, using your hands to mix until the dough comes together in a ball with some dry bits remaining. 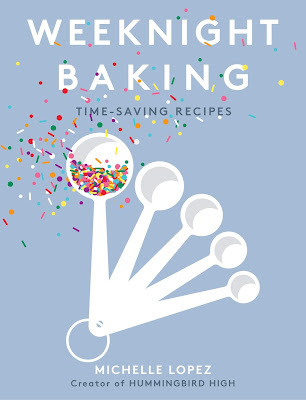 Squeeze and pinch with your fingertips to bring all the dough together, and, if necessary, sprinkle any dry bits with small drops of ice water to combine. Shape the dough into a flat disc and use a bench scraper to divide into 2 even portions. Wrap both in plastic, and refrigerate for at least 1 hour, preferably overnight, to give the crust time to mellow. Wrapped tightly, the dough can be refrigerated for 3 days or frozen for 1 month. First, cook the bacon. Lay out 2 strips of bacon on a large, cold frying pan, placing each strip so that they do not overlap. Place over medium-low heat and cook until the bacon starts to release some of its fat. Once it starts to buckle and curl, use tongs to loosen each strip and turn each slice to allow it to cook on the other side. Keep flipping and turning the bacon so that it browns evenly. Cook only until the bacon has lost its raw redness, but still a little loose and flappy — we don't want crunchy bacon or else it will over cook in the pie. Use your tongs to remove the bacon from the pan and transfer to a plate lined with paper towels. Carefully add 2 1/2 pounds peeled, cored, and sliced apples to the warm frying pan containing the excess bacon fat. It will splatter, so be careful! Sauté the apples in the bacon fat briefly, tossing and turning the fruit constantly to keep it from softening too much — the goal here is to just infuse the fruit with flavor, and not actually soften and cook it. If your pan is too small, it's okay to also sauté in small batches. Transfer the sautéed apples to a large bowl, and immediately sprinkle the juice from half a lemon over the apples. Add 1/3 cup dark brown sugar, 3 tablespoons cornstarch, 1/2 teaspoon ground cinnamon, and a pinch of kosher salt. Use kitchen shears to cut the 2 slices of bacon (remaining from the 1st step) into small pieces (think: bacon bits) and scatter over the fruit. Toss the mixture until all the ingredients are combined. Use immediately. Once the dough has chilled overnight and has the texture and consistency of saltwater taffy, it's ready to be rolled. Liberally sprinkle a work surface with flour. Unwrap the dough and place it on the work surface, sprinkling its top with flour. If the dough is hard, let it rest for a few minutes. If the dough seems too sticky at first, add flour liberally. Use a rolling pin to roll with light pressure, from the center out, moving the pie dough around every quarter to roll it evenly. Roll the the dough to about 11 to 12 inches in diameter and about 1/4 inch thick (place your pie plate upside down over it to check its size). Move the dough into the pie plate by folding it into quarters, then moving it into the plate and unfolding it. When the dough is in the plate, press it firmly into the bottom and sides of the plate. Carefully transfer the apple mixture over the crust, but leave out any excess liquid at the bottom of the bowl. Transfer to the refrigerator to chill while you roll out the second disk of pie dough, following the instructions from the 1st step. You can cut strips to make a lattice crust like I did, or just do a simple double crust (making sure to cut a few slits to let steam escape). Place the top crust over the apples. Trim off any excess dough and fold the edges of the bottom crust over the edges of the top crust. Pinch the two crusts together with your fingers or a floured fork. Cover loosely with plastic wrap, and transfer to the freezer to chill for at least 1 hour, preferably overnight. When the pie is ready to be baked, center a rack in the oven and preheat to 350 (F). Line a sheet pan with parchment paper, and set aside. In a small bowl, whisk together 1 large egg and 1 teaspoon water to make an egg wash for the pie. 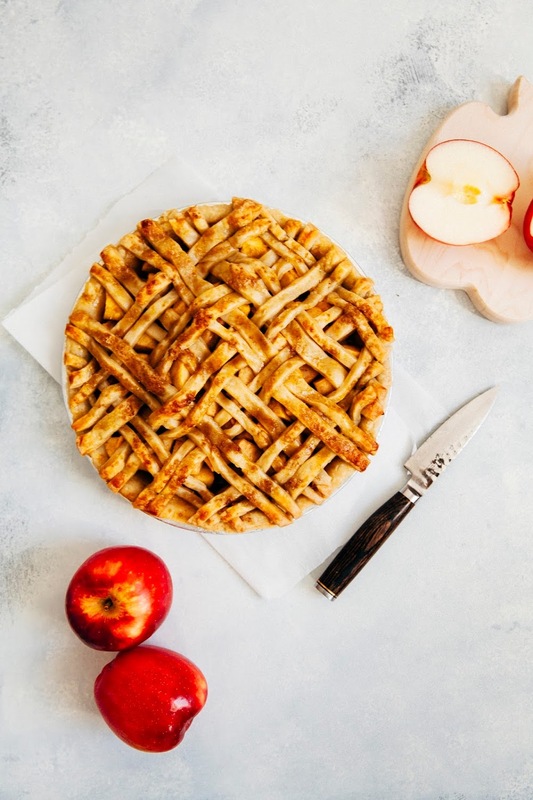 Remove the pie from the freezer and place on the sheet pan; use a pastry brush to to brush the egg wash onto the pie lid and crust, sprinkling immediately with demarara sugar. 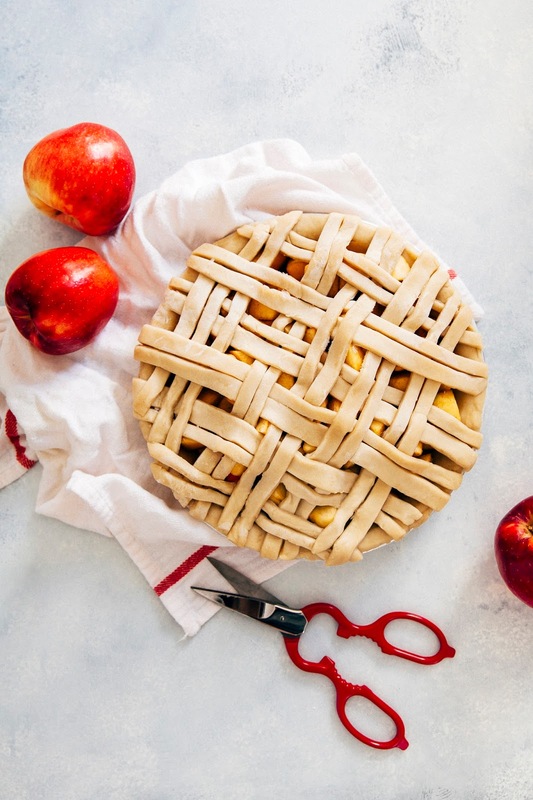 Transfer the sheet pan with the pie to the preheated oven and bake for at least 1 hour, or until the crust has turned golden and the fruit juices inside the pie are bubbling. Transfer to a wire rack and cool completely before slicing and serving. Enjoy!